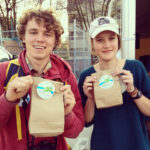 Wild About Vancouver is a collective of volunteers. Everyone is encouraged to get involved. Here are the current volunteer roles we need your help with. If none of these catch your eye, please email info@wildaboutvancouver.com and hopefully we can help you to get involved with Wild About Vancouver! We are looking for Social Media Volunteers to assist with the upcoming Wild About Vancouver Outdoor Education Festival (WAV) running April 16-22nd, 2016. Social Media Volunteers will assist the WAV team by contributing and monitoring the various social media streams leading up to and during the festival. – Experience with social media, Facebook, Twitter, and Instagram. – High energy, enthusiastic and a creative thinker. – Marketing, communication and/or public relations experience would be considered an asset. – Passion for the outdoors and education. – Works well as part of a team as well as individually. – Work with our Social Media and Publicity Chairs to develop material for WAVs various social media streams. – Monitor specific social media streams. We are looking for Volunteers to join the Festival Media Team for the upcoming Wild About Vancouver Outdoor Education Festival (WAV) running April 16-22nd, 2016. Festival Media Team Volunteers will assist WAV by visiting festival events to take pictures, videos and short interviews. – Work with our Social Media and Publicity Chairs to share WAV festival events. – Contribute to social media and website during festival week. – Be able to visit numerous festival events. We are looking for a Media Assistant for the upcoming Wild About Vancouver Outdoor Education Festival (WAV) running April 16-22nd, 2016. The Media Assistant will assist the WAV Coordinator with the planning and execution of media. We are looking for a Assistant Coordinator for the upcoming Wild About Vancouver Outdoor Education Festival (WAV) running April 16-22nd, 2016. The Assistant Coordinator will support the WAV Coordinator with promotion and donor research, community outreach, and event planning. – Able to connect with community members to promote WAV and build interest in groups/individuals to host events. We are always looking for content to share about getting outdoors, especially around Vancouver. Send it our way. For more information please email info@wildaboutvancouver.com or explore our website at www.wildaboutvancouver.com, follow us on Twitter @WildAboutVan and like us on Facebook: Facebook.com/wildaboutvancouver.